Parties – Correctly defining the parties involved in clear and concise detail is extremely important, especially in a commercial lease situation. Your attorney must understand the business structure of the entities involved and comprehend what practical consequences and tax implications there are, if any. 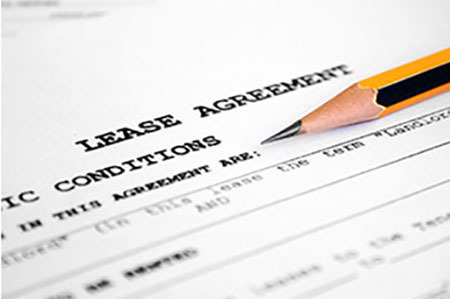 Premises – The description of the leased premises must be clear. If the premises contain multiple tenants, the distinction between where one tenant’s property ends and where the other’s begins must be carefully delineated in order to avoid potential disputes. The square footage should also be listed in the written lease agreement. Term of Rent – The lease agreement should include renewal options. Rent for a renewed lease in a commercial setting can be calculated by using the Consumer Price Index (CPI), fair market value, or a fixed percentage increase. In order to avoid disputes between tenant and landlord, using the CPI or a fixed percentage increase may be better than using the fair market value. The CPI and fixed percentage increase provides certainty whereas fair market value at the time the lease is set to expire leaves more uncertainty to the parties involved. Furthermore, when determining fair market value, the parties will need to hire an appraiser and if they’re unable to accept the appraisal, this may lead to arbitration or potential litigation. The parties should take a balanced approach and determine a method of rent renewal that’s both reasonable and provides a degree of certainty certainty without the need for additional cost or time commitments. Expenses – Expenses refer to the cost of utilities, maintenance charges, common charges, cost of landscaping, cost of the parking lot, etc. Of course, landlords will seek to pass the costs associated with operation of the property to the tenant, while the tenant will seek to eliminate these costs as to not affect their bottom line. 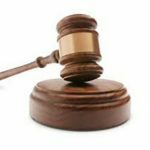 An effective attorney will be clear and concise in drafting the commercial lease agreement being sure not to leave anything out that would lead to future disputes regarding payment of expenses. Use – The purpose of a “use clause” in a commercial lease agreement is to set forth the conduct a tenant may engage in on the premises. Naturally, the tenant will seek to expand the scope of the use clause, giving them maximum flexibility for engaging in their business operations. Conversely, the landlord will seek to limit the tenant’s permitted uses so as to control how such use will affect the premises and the other commercial tenants. Depending on the type of businesses involved, certain environmental and land use laws may be triggered by virtue of the tenant’s operations. Your attorney will be able to ascertain any environmental and land use laws that pertain to the subject property beforehand. They will then property draft the lease agreement to avoid governmental and regulatory complications. Condition of the Premises – The landlord will want to transfer the property in it’s current state “as is” while the tenant will seek to be released from liability for conditions on the premises that existed prior to the tenancy. A well crafted compromise can be integrated into the lease agreement, giving the tenant reasonable time to report non-working conditions to the landlord and to avoid future disputes or possible litigation. Alterations – It goes without saying that the tenant will want to alter the premises to accommodate their business needs, while the landlord will seek to limit such alternations in order to avoid changes to building structure and systems. The landlord will also desire certainty as to who is responsible for removing the alterations and if the landlord is entitled to keep the alterations if it were to suit the needs of a subsequent tenant. A well-drafted clause pertaining to alterations in the lease agreement should address these concerns. 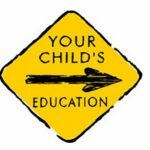 Contempt of Court in Family Cases How Can a Lawyer Help With My Child’s IEP?